For accuracy of your article and to give the proper local of Pinebloom, your map attached to this article is incorrect. 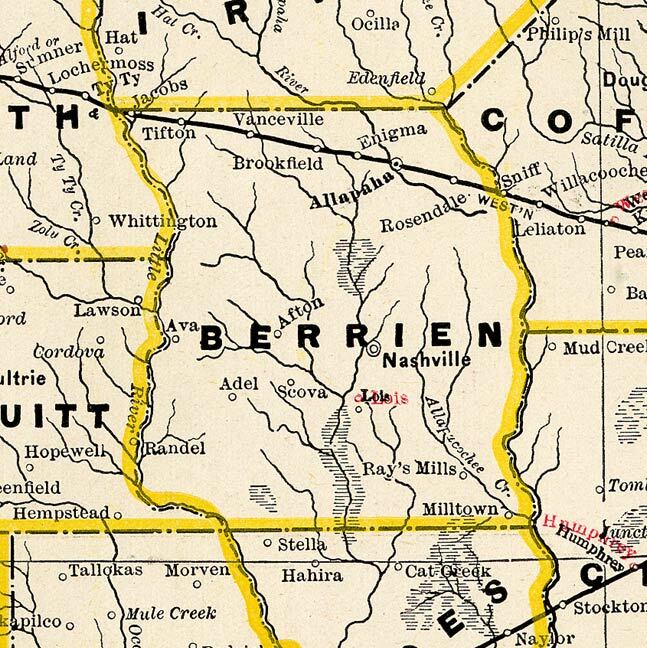 There are a number of railroad maps that definitively locate Pinebloom between Willacoochee and Leliaton, about 2 miles east of Willacoochee. Benjamin B. 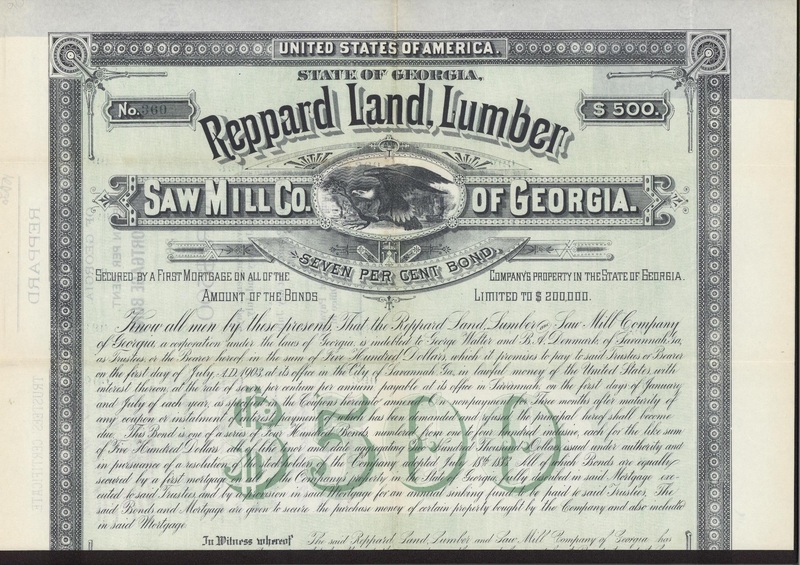 Gray operated a sawmill near there, and was one of the original bondsman of Benjamin Furlong. 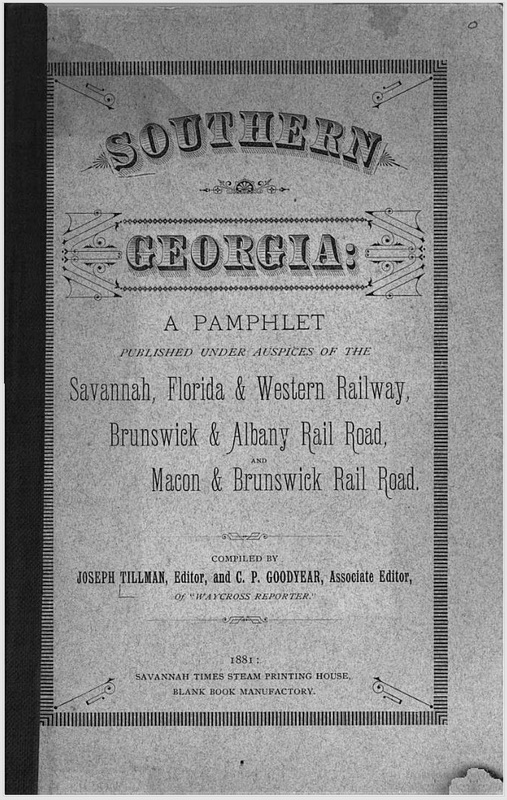 Gray was also a railroad developer of the Ocilla, Pinebloom & Valdosta Railway. The OP&V, originally called the Fitzgerald, Pinebloom & Valdosta, was a logging road and occasional common carrier owned by the Gray Lumber Company. The 52-mile Lax-Pinebloom-Nashville line was completed in 1901-03. The line was renamed the Ocilla, Pinebloom, and Valdosta Railroad in 1910. In 1915 the Henderson Lumber Company gained control. 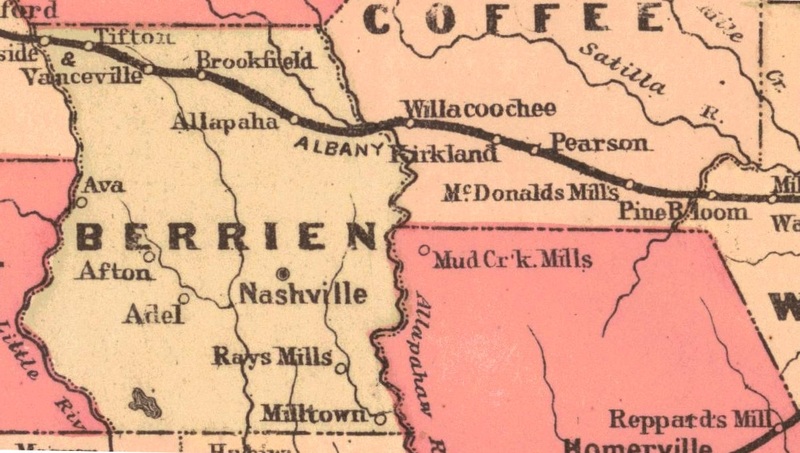 The 1918 Report of the Georgia Railroad Commission listed the OP&V as a 27-mile line between Gladys, a point on the Ocilla Southern Railroad, and Shaw’s Still, which was about nine miles southeast of Willacoochee. Two years later the Commission indicated that the OP&V had been dismantled and listed its successor road, the Willacoochee and DuPont, as a 9.5-mile line between Willacoochee and Shaws Still. Bryan, thanks for the clarification on Mitchell’s 1883 map and the additional information on Pine Bloom. I’ve edited the caption on the map image to reflect the correct location. Jon- Thank you for updating with the additional information. My family still has a few missing links that we are trying to answer..1) Pocahontas 2) Joe Alsea Furlong ( My Great Grandfather). At the direction of our Historical Society in Bartow Florida we have be told to write the Social Security Administration to determine the names of Joe’s Parents. We believe he was the child of either Pocahontas and Ben And wasn’t listed on the census or he was the child of one of Ben’s Children. Follow up- pictures do exist of Ben and Pocahontas. We are currently working to retrieve them from my Aunt. Joe Alsea Furlong lived with the Grey Family. They owned and operated Grey Timber Company. Apparently the children were borrowed by other families to assist with work during that time which is why Joe isn’t listed as living in the house. I am also working to retrieve an article concerning Joe and Will Furlong. In Waycross Georgia, they stole a 4th of July cannon and filled it with railroad spikes, chains and ball bearings and fired it at a house..seems the apples don’t fall far. Mr. Furlong, You may wish to contact Dr. Hal Henderson, 2808 Park Ave. N., Tifton, GA 31794-1312. He is a descendant of Benjamin Gray and may be able to shed some light on the Furlong family, as he has an interest in history of the Willacoochee area. Just spoke with Mr. Henderson and we were able to fill in some gaps. He remembers BB Gray married a “Furlong” from Louisiana which explains why the Furlong’s and Gray’s were close. Joe Alsea Furlong lived with his “Cousins” in Pinebloom growing up according to family, and also explains the Railroad connection and Waycross…where Joe and Will shot the house with a cannon. I will keep an ey on the website for the photos and when I get copies of our family photos, I will make sure you get them as well. The 1880 US census lists Ellen also as being born in Louisiana. Glad Mr. Henderson was able to shed more light on the family. My great grandfather’s son, Bernard Shaw of Willacoochee was a poll bearer at Ellen’s funeral. Bernard passed away back in the late 1980s but I will check with Bernard’s son, Paul Shaw to see if he has any additional info. Photos of Benjamin B. Gray and Ellen are posted. Look forward to any photos of your Furlong or Gray connections. Any photos with the saw mill or Gray or Furlong homeplace? Yes sir- photos are being copied and mailed from my Aunt in Virginia. I know we are receiving a photo of Will Furlong- who we always heard was the “bad” one in the family. He was the son of Ben and worked for Gray Timber. It is a photo of him on his horse that he used to mark timber. As soon as we get the photos, I will make sure you get copies for your site. Thanks again for posting the photos of the Gray family. I am anxious to see if they are some of the same folks as in my photos.